You just cut these up into little cubes. What you have to do: Beat up the eggs (just like you do for an omelet), with a pinch of salt. Add the yogurt and mingle. Then slowly add the rest of the basic ingredients: the milk, oil, flour and baking powder. Mingle it all well. After this, you just add the side ingredients, and it`s done. Just bake the muffins for about 30 minutes, at medium temperature. I recommend using silicone forms for the muffins. Because of the cheese, they can get sticky if you use paper forms. As for the side ingredients, you can basically use anything you want, anything your family loves more. You can use bacon instead of ham, or salami. You can even cut up the leftover chicken you have from the last nights' dinner. Or, you can make the muffins full of veggies. But, if you use frozen veggies, I recommend cooking them a little bit before putting them in the muffins. Put a little butter or oil in a frying pan, and let them cook for a while. Don`t cook them very much, because their cooking process will be made in the oven, in the muffin. You just have to make the veggies be a little soft. There are so many combinations that you can try with this recipe. And that`s why I love this muffin recipe so much. What do you think? Will you give it a try? Come and join us for these amazing parties. These remind me of a quiche muffin. I am sure it is something that my husband would enjoy to eat. Sounds delicious and I totally understand putting too much additions, been there, done that. They sound great, thank you for sharing the recipe at The Really Crafty Link Party this week. Pinned! I love this idea Cristina. I was wondering if I can substitute olive oil for the sunflower oil? Maybe I can try it tomorrow. Great recipe with endless combos. Thanks for sharing.. They sound delicious! Thank you for sharing at Ravenwould. These savoury muffins look great. When my sons were teenagers these savoury kind of meal muffins were their favorite. This version looks especially good with the yogurt. Thanks for sharing. Thanks for the kind words and for the pin, Marisa! This is interesting. I've never had salty muffins before. So intrigued. Veena, you should try them. You can combine the ingredients as you want, and they`re really delicious. A great way to have breakfast made and ready to go for those busy mornings. The muffins really look so easy to make and would be a great option for a quick n healthy breakfast or snack. Thanks Molly. And you are right, they`re perfect for breakfast. These look perfect for breakfast, or with a cup of coffee for an afternoon break. Great brunch item for the weekend too. You can never go wrong with great tasting muffins. Love how easy this recipe is to make. I bet our family would love it for a quick snack or to make ahead for breakfast, yum! I love savory muffins.. and these looks so delish and easy to make.. saving it!! Shall try this recipe soon ! Savory muffins are delicious, and I love this breakfast recipe! YUM! I love salty muffins! Especially a good recipe where you can mix and match to your tastes and cravings! Such a good recipe to have! I love savoury muffins and these look delicious! Talk about the perfect breakfast idea, these muffins sound so delicious. I love that they're savory as well. Definitely something different for a change. These looks so tasty. I like savory baked goods instead of sweets. Will have to make this soon. These look really interesting, when I think of muffins I immediately think of chocolate but its really nice to see a savoury version out there too! Yum! I need to make these for breakfast next week. I love that you can add anything into the muffins too. These are so cute and I think they look delicious! I would love to make them. These sound like such a simple savory breakfast muffin. I make similar ones all the time and my whole family loves them. These look so easy to make and delicious! Two of my favorite things when cooking. These look and sound so good! I really enjoy a good, savory muffin to pair with a piece of fruit, for breakfast. I’m going to give these a try. I'm all about sweet, and my husband loves all things salty. Definitely need to try this recipe as it sounds like a win for us both. I'm loving that these are savory! These sound delicious - I like the idea of savoury muffins... will have to give them a try. I've only ever eaten sweet muffins before (blueberry, chocolate chip, banana, etc.) and never thought about a salty or savory muffin! These definitely sound different and interesting. Wow! I like the idea of a savory muffin. There is so much you could do with this recipe! These muffins look great. I need to have some options ready for breakfasts. I love how versital this is! I just loged it in my recipe book and cant wait to try it! These look delicious. I've never made salty muffins before, but this recipe seems easy enough...I'll give it a go! These look super yummy, I like how there are so many different things you can do with them. These muffins look so tasty and delicious! They would be a great make ahead option for breakfast too, and so easy to make! These look so good!! I love breakfast food! How yummy do these look! 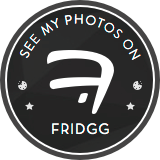 My mouth is watering just looking at the photos! Oh yum! these look amazing! I need to take a baking class cause I can already see me making a mess trying to make this haha! The muffins look so yummy! It's indeed an easy recipe to follow. I'll defintiely try this out! These look really nice. They would be good for breakfast or a picnic I think, or to take to work for lunch. Like all the different filling ideas. Sounds like an interesting recipe. I will have to try it. Very interesting recipe! It looks wonderful. I like the idea of adding yogurt, and it's neat you can add whatever other ingredients you're looking for in this recipe. Thanks for sharing! Using silicone forms instead of paper sounds like a game changer. I'll have to try that! Oh wow, this one is a winner. I am badly craving for this one. This is my kinds of a weekend treat. Wow, that looks so delicious and the cooking steps looks so easy to follow. I will make this for my kids afternoon snacks. I love Savoury muffins and this recipe looks like a must try. The muffins look super yummy. We love savoury muffins in our house and your recipe looks so delicious. I'm already thinking about the different fillings I could use! This sounds like such a great recipe. Yummmmmm! A must try recipe and it looks so delicious. So yummy! I can’t wait to give this recipe a try! I’ll have to try them! These muffins look absolutely delicious! I am a sucker for anything I can make ahead of time, and I think these would be perfect to make a bunch of and eat through the week. I never thought of making salty muffins, but u am guessing i can make them savoury by adding cheese or ham. I am intrigued. I haven't tried this kind of muffin before. I need to make it one day for sure. These muffins look so delicious. My kids would love it. I should give it a try. This reminds me of mini frittatas which I LOVE. You can put almost any additive to the mixture and it would be delicious. Can they be kept at room temperature or must they be stored in the fridge? Thank you! 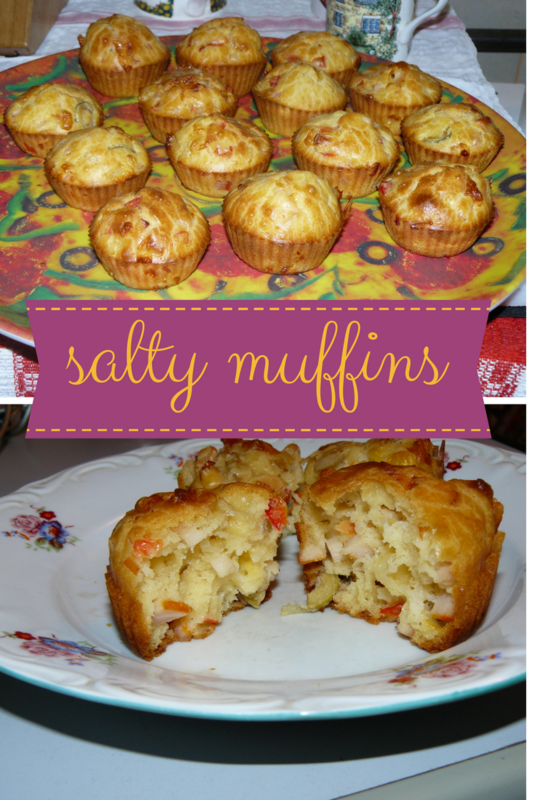 We love making savory muffins, I will definitely be adding these to my baking list this week! I have never tried making savory muffins before. I do love them and your recipe sounds pretty simple! Maybe I will try them some day. I am not good at baking. But this looks simple enough. Will try them. This looks so delicious, i love baking and i cannot wait to try this recipe. Wow, savoury muffins sounds like a great idea! My husband would love this. Thank you for sharing this recipe! I’ve always been a cupcake person so I never really made nothing other than blueberry muffins. These look delicious though so I’ll be willing to give them a try. Wow, its good to learn about this recipe. Indeed a time saving and easy to make recipe. Will try making this out over the weekend. Those muffins look pretty amazing. I'm always up for good muffins in the morning. I will have to try this out for my daughter. I will definitely try this out on coming Sunday. Thanks for sharing. This is good muffin recipe and sounds delicious. I dont mind if this is the aalty version. It's always awesome when you can play around with ingredients and prepare something out of the basic. So yes, I love how the muffins look like. The taste of mushroom sounds new. I would enjoy this without the ham because I am pescatarian. I would try this without the meat. Yum, I looked at this and said, oooh I can imagine substituting some crab meat for a brunch. A perfect dessert in festive season. And the best part us is is easy to make. I am.sure it's going to be yummy. Ohh now these sound really interesting I love the idea of having some salty muffins. Thank you for an easy recipe! What an easy, versatile recipe. I am going to try it, and hopefully it comes out great. Thank you. Yum, these look tasty. I always love a good muffin. And I'm a fan of easy recipes! Muffin salty mh? What a really good idea especially maybe to be presented as an aperitif! This sounds really interesting. I have never had anything like this. These look so good never tried them will be.nice to have them fro breakfast. ahhh, i wanna try allll of them, looks delicious!!! It is amazing how creative you are, love it. These would be perfect for breakfast. I would load mine up with veggies. love that it is healthy and easy to make. Im always on the go so this is surely convenient! I'm not sure I've ever had a savory muffin before. Is it more like a quiche? I've never heard of salty muffins before. I love that the recipe is simple and can be adapted to make lots of different recipes. Sounds great - I love savoury muffins! This recipe looks delicious, I shall look forward to trying it. These muffins sound super yummy! I'm going to have to make a few minor adjustments to accomodate my food allergies but I cannot wait to try these! I love muffins like these. This sounds pretty easy to make. Thanks for sharing. Thank you so much for sharing that muffin recipe. That looks really yummy and good. I like to put a lot of cheese in there. This is such a unique recipe for making muffins. I'm sure they taste great too! Those muffins look so delicious! and would be perfect for dinner or breakfast! gonna try this recipe for sure! I have always like muffins, there are easy to make, fast to make and easy to eat. So yummy! I can’t wait to give this recipe a try! It left me drooling..!! Its easy to make.I am going to make muffins. wow awesome recipe endless possibilities! !